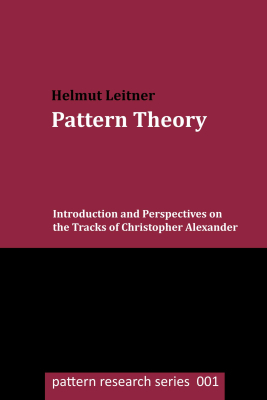 "Pattern Theory: Introduction and Perspectives on the Tracks of Christopher Alexander". Book by HelmutLeitner . Extended translation of MusterTheorieBuch, published in March 2015. ISBN 1505637430. Paperback, 160 pages. Citation, APA style: Leitner, H. (2015). Pattern Theory: Introduction and Perspectives on the Tracks of Christopher Alexander. Graz: Helmut Leitner, printed by CreateSpace.